Although the majority of people consider regenerative medicine a future science, huge strides are already being made in this area of the medical industry. The goal of regenerative medicine is to discover ways to use stem cells to engineer tissue or initiate the body to regenerate tissue on its own. Regeneration refers to the regrowth of a missing or damaged organ part from the tissue that remains. Humans have the ability to regenerate certain organs (e.g., liver and skin); however, many other tissues are incapable of regeneration. 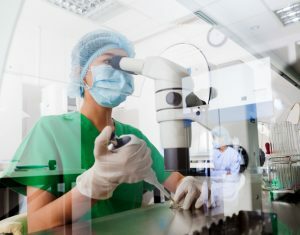 Specialized cells Vs stem cells: What is the difference? Our bodies consist of a variety of specialized cells. These specialized cells include blood cells, skin cells and nerve cells. Stem cells are unspecialized cells. All three of these stem cells are unspecialized: Therefore, scientists can reprogram them to develop into specialized cells. An induced pluripotent stem cell (iPS) is generated when a scientist reprograms an adult skin cell. Scientists can treat adult skin cells with a specific combination of naturally occurring growth factors. This process transforms these specialized skin cells back into unspecialized stem cells. Once these skin cells have been transformed, scientists can reprogram them into any type of specialized cell. Whereas induced pluripotent stem cells can be reprogrammed into any type of cell, multipotent stem cells can only be differentiated into a select number of cells. Hematopoietic stem cells are blood stem cells. These stem cells can develop into white blood cells, red blood cells and platelets. Hematopoietic stem cells can be found in bone marrow, cord blood and peripheral blood. MSCs are found in the umbilical cord tissue and can only be reprogrammed to become connective tissue cells. Therefore, these stem cells can develop into bones, cartilage, muscles, ligaments and tendons. Animals with the ability to regenerate body parts include salamanders and flatworms. Salamanders use tissue stem cells to regenerate an entire limb and an adult flatworm can regenerate its entire body with just one type of stem cell, the pluripotent stem cell. These pluripotent stem cells are not induced by researchers: They have the ability to differentiate on their own. Research indicates that animals capable of regeneration have a type of map that informs their cells what they should become and where they should be. If researchers can unlock the mysteries surrounding the principles and molecules that each of these animals uses for regeneration, scientists may be able to regenerate and/or engineer human tissue. At Southeast Orthopedic Specialists, we specialize in treating spinal injuries as well as hand, wrist, knee, foot and ankle injuries. If you have sustained an injury, please contact our office today at 904-634-0640 or schedule your appointment online.